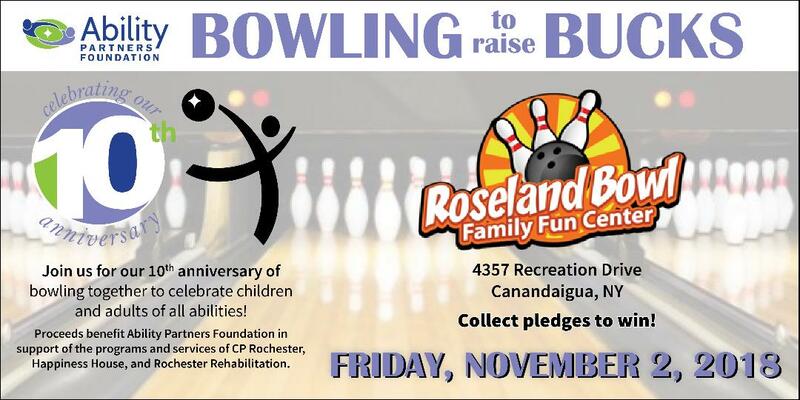 The event will take place on Friday, November 2, 2018 at Roseland Bowl on Recreation Drive in Canandaigua. It is a fun and well-attended event, with a choice of two bowling times to best accommodate schedules. Pizza, soda, snacks, candy, two games of bowling, and shoe rental are included. A raffle drawing and DJ add to the fun of the evening!